If you’re looking to buy an established business for sale in the North West of England, then this is an ideal opportunity for you. Covering the Liverpool area, this Signs Express franchise has been servicing the community for over 10 years! Signs Express is the UK's largest signs and graphics company with over 65 centres nationwide, offering an award-winning, proven business model. The centre currently up for sale has been operating for 20 years and was built up from scratch by the current owners. 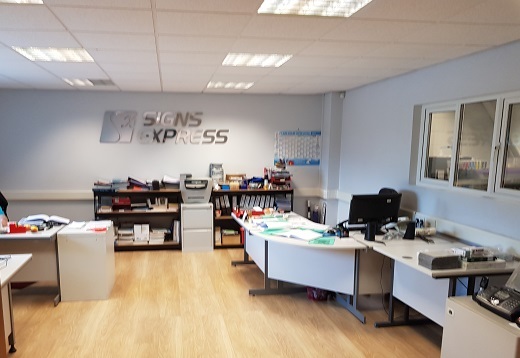 This opportunity can be highly lucrative for the right candidate and as a management franchise, you need no previous sign industry experience to join the Signs Express network. The centre has built a diverse selection of customers, as can be imagined after 20 years of trading. These include Multinational Companies, Construction businesses, Public health services and the local council. Priced at £185,000, this exceptional operation offers a unique investment for a new owner to continue growing the business in the two territories this centre services. Having built up the business since 2008, the current owners are now approaching retirement and wish to sell, leaving the business in a strong position where a new owner can build on the solid foundations left by the existing franchisee. There remains tremendous scope to utilise the centre’s existing reputation, trading history, assets and territory alongside assistance from the franchisor. Signs Express is the UK’s leading provider of signage to a diverse range of sectors. Please fill out the enquiry form below to register your interest and we will be in contact with you to discuss the opportunity further.